Damn Amy Harmon and her heart breaking, heart healing, stunning, thought provoking words. Damn the nights sleep I just lost as I couldn’t put this book down and damn these characters that have just stolen my heart and soul. 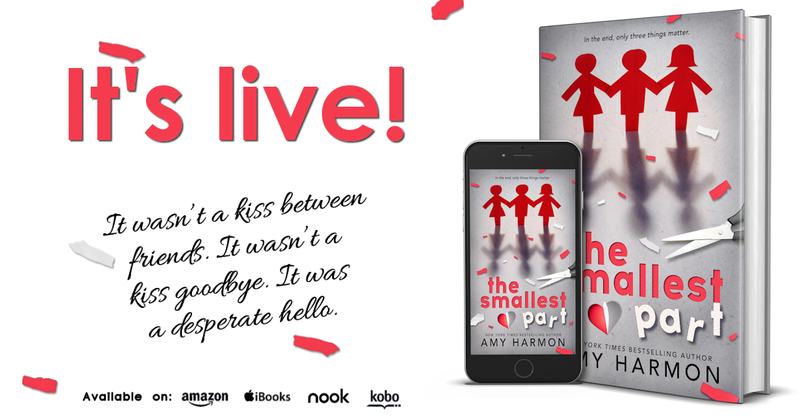 Amy Harmon never ceases to amaze me and while she has not graced us with a contemporary romance in quite a while, she definitely hasn’t lost her touch. My husband was fast asleep beside me as I devoured this book, the silent tears streamed down my face, the smiles went un-noticed and while I was completely knackered by the end, my emotions had exhausted me and I got an hour’s sleep. Did these characters leave me…hell no. We briefly met Dr Noah Andelin in The Law of Moses and I for one was intrigued with his story. While Amy Harmon had promised this a while ago, I had forgotten as she graced us with unputdownable fantasy and historical reads. I was clueless going into this book. If I am reading a book by an author I love, I go in blind, like totally blind. I knew nothing about this book apart from the unusual cover that brought back childhood memories and that was exactly a fair representation, those paper chains represent so much. A great cover, truly inspired. So, I didn’t know this was Noah Andelin, but when I found out, I was all in. Childhood friends and more than that, best friends. Noah and Mercedes came from tough backgrounds, but they made the world their own. They made the best out of a tough hand and the one thing they always had was each other. Mercedes had a heart the size of Texas, she wore her heart on her sleeve and only wanted the best for everyone, even if that meant sacrifices for herself. There wasn’t a bad bone in her body and she was one of the strongest heroines I have ever had the pleasure to read about. Despite her full of the joys of spring persona there was another side to Mercedes, the vulnerable side and Amy Harmon portrayed this perfectly as the true depth of her character was explored. Mercedes had that outgoing, funny side, but she radiated honesty and friendship and if I could pick a new friend, she would definitely be top of the list. Dr Noah Andelin…he was as good as Amy Harmon led us to believe with the little snippets about him that we already knew. In some respects, he was similar to Mercedes, hence why these two were inseparable from the time they met. Noah was incredibly sweet, lovable, yet melancholy. Life had thrown him through several loops and it seems the world still wasn’t finished with him, but he had one rock, one confidante and that was his best friend, Mercedes. These two together were heart-warming, both as kids and adults. I loved the flashbacks to their time as children with the gentle nods to the eighties and the troubles that they often found themselves in. The family unit they had, albeit dysfunctional, was beautiful and the strength between all of these characters only buoyed my emotions. 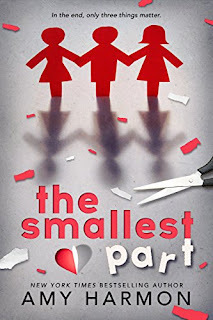 Amy Harmon gave this book heart and this is where this book triumphed. You couldn’t help but be sucked in to this emotional, friends to lover’s romance. I have to mention Cora, while I couldn’t stand this particular character and in fact, at one point hated her guts, Amy Harmon wrote her part in such a way that you could not help but be empathetic to her plight. So, while that hate soon morphed its way into pity, I admired the way that Amy Harmon brings the reader around. While I still don’t like her, I suppose I could understand her by the end. 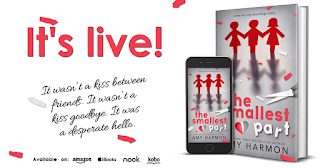 Once again, Amy Harmon delivers a truly unputdownable read. I am continually blown away by this author and I cannot recommend this book enough. Go in blind like I did. Experience the book as the author intended. You won’t be disappointed.